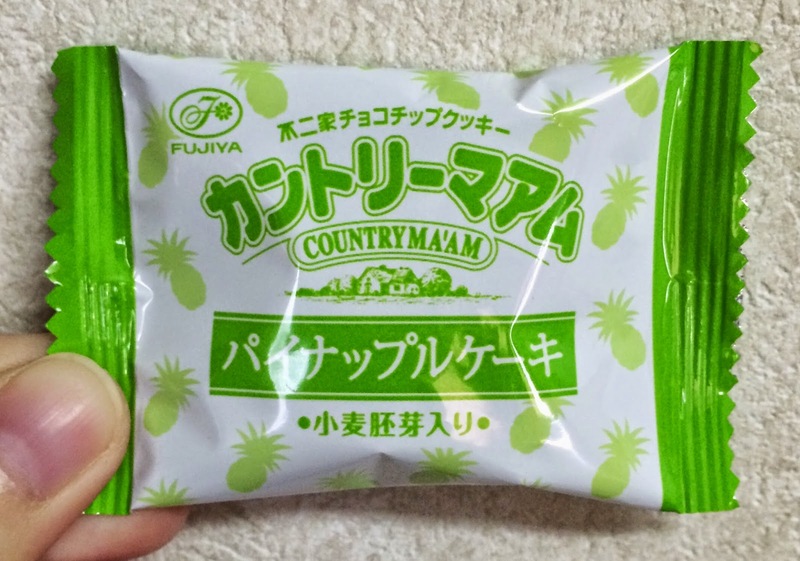 My husband found "Country Ma'am Pineapple Cake" the other day. Fujiya launched this on April 14, 2015 and it's a mini bag with 5 individual pouches. 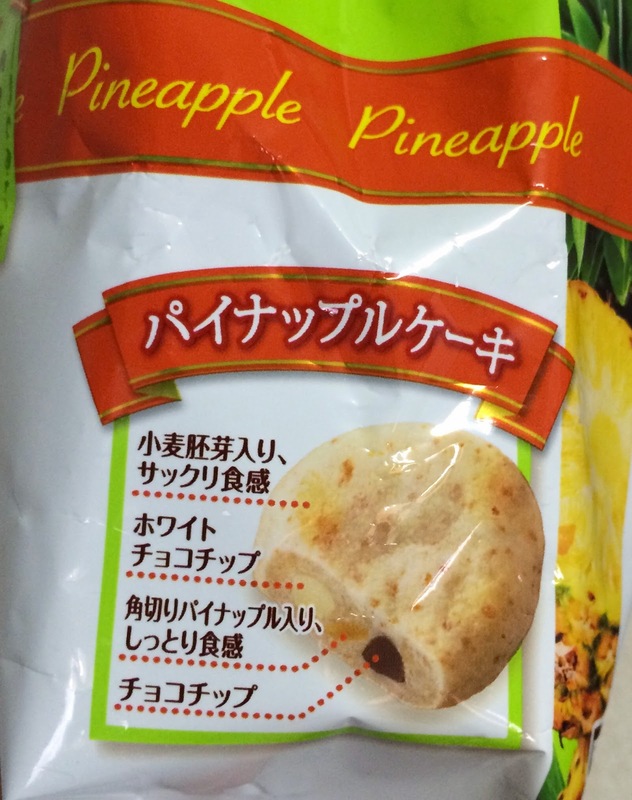 On the front, it says that they used diced pineapples and 1% of the cookie dough is wheat germ. 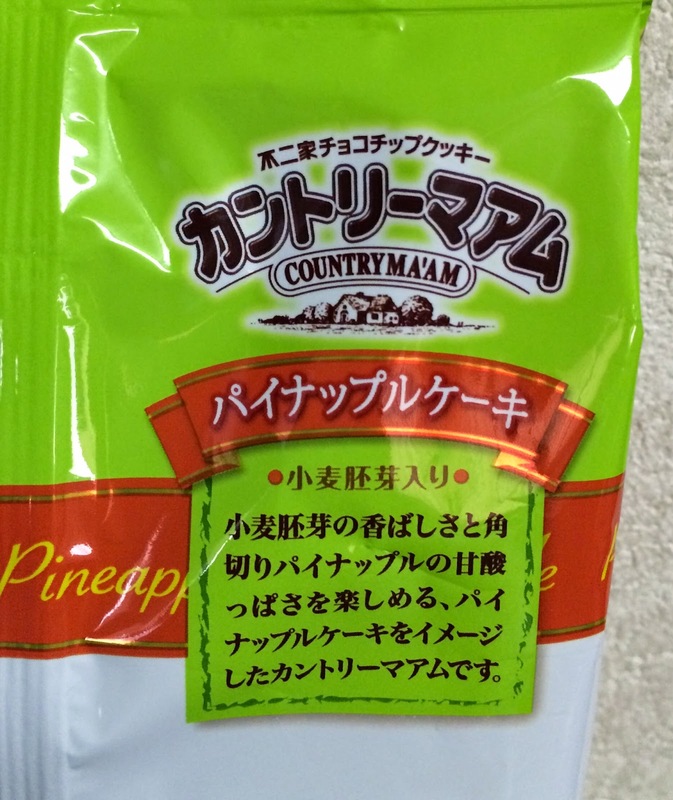 On the back, there's a description of "Country Ma'am Pineapple Cake." This Country Ma'am was recreated pineapple cake and you can enjoy fragrant scent of wheat germ and sweet-and-sour flavor of diced pineapples. 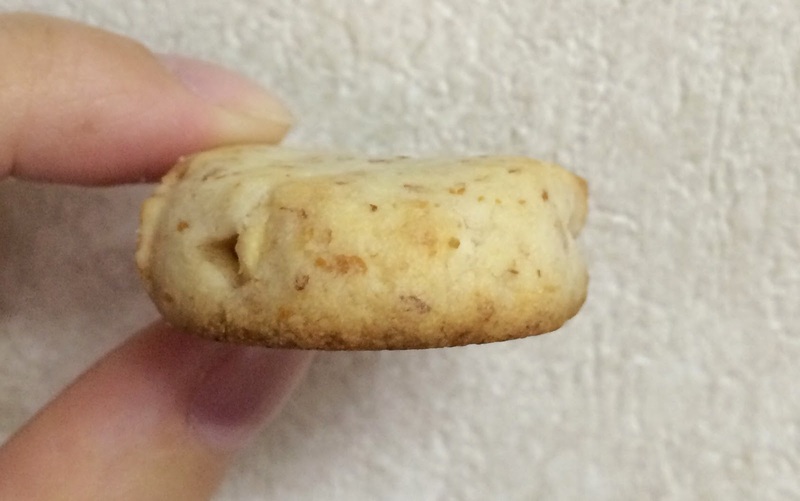 On the side, there's an image of the cookie with details. The cookie dough contains wheat germ and it's crispy, and there're white and chocolate chips with diced pineapple that creates moist texture. Individual pouch was white and green, and there're silhouettes of pineapples in yellow green. I might have said before, but it used to be much larger and gradually they're becoming smaller and smaller. I had excepted it'd be much darker golden color, but this cookie was very pale as if it's not baked well. 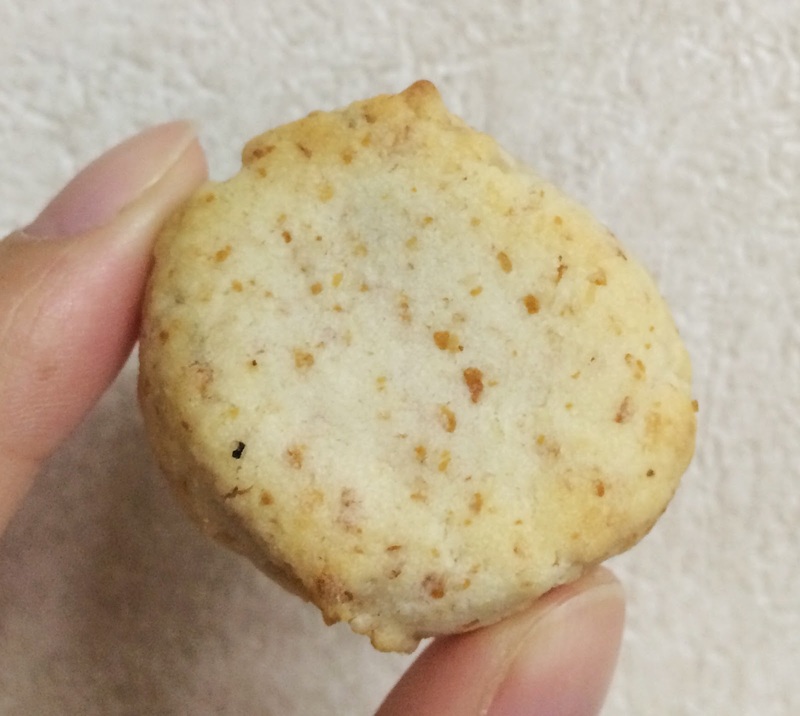 It's a thick cookie with 1~1.5cm (0.4~0.6 inch) tall. The bottom was crispy and the top was dried, and the brown dots didn't really have any texture. 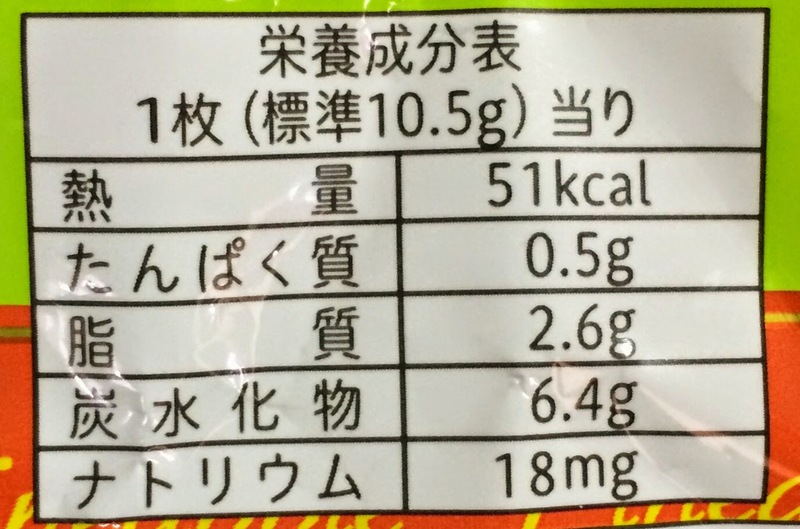 It had fragrant and roasted flavor yet pineapple's sweetness was much stronger. And the characteristic flavor of white chocolate and chocolate scent were subtle. On the ingredients list, there's "coconuts," and I guess some of the brown dots in the cookie was coconuts. However, I didn't feel any crunchy texture or even notice the flavor. 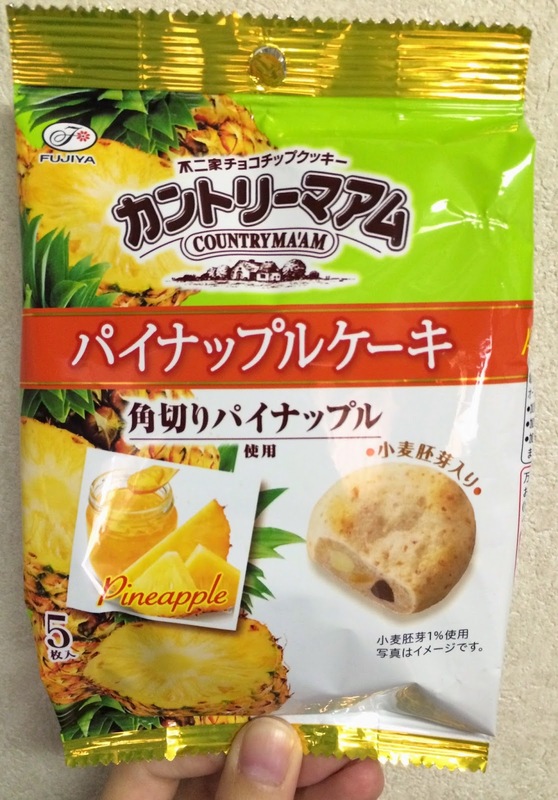 The pineapple was similar to jam and I didn't find any chunks or sourness in this cookie. It's very moist so that the naming, "Pineapple Cake," is describing the texture well.